The heaby duty cast iron side frames and bed realize 15,000 per hour high speed running and long term durability. 7 o’clock cylinder alignment and double diameter impression cylinder assure high precision printing accuracy on variety of printing sheet. 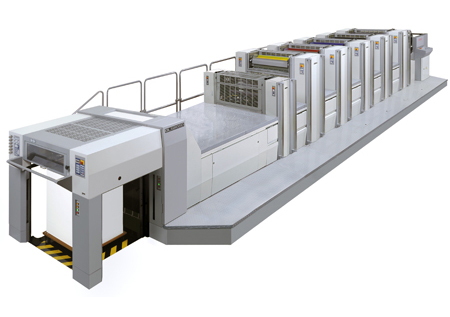 The surplus printing size og 785 x 585mm accepts wider range of printing objects. Abundance line up of 2 to 6 colors and both one side and convertible perfector models.